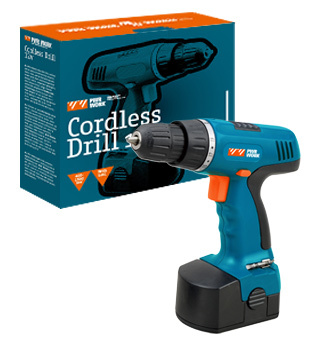 PWR WORK® Cordless Drill provides precise control for drilling into wood, metal or plastic, and for all screwdriving tasks. With variable speed and anti-slip grip. Compact and lightweight.